Pilots for 9/11 Truth has reported that the data stream from the flight data recorder (FDR) for American Airlines flight 77, which allegedly struck the Pentagon on 9/11, shows that the cockpit door never opened during the entire 90 minute flight. The data was provided by the National Transportation Safety Board (NTSB), which has refused to comment. The FDR is one of two “black boxes” in every commercial airliner, which are used after accidents to help determine the cause of a crash. One black box records flight data, the other records voice data (everything said in the cockpit during the flight). With those two sets of data, NTSB investigators can usually piece together the events that led to a crash. The status of the door to the cockpit is checked every four seconds throughout a flight and relayed as a simple 0 or 1, where 0=closed and 1=open, with approximately 1,300 door status checks performed during AA77’s 90 minute flight. Every one of those door status checks shows as a 0, indicating that the door to the cockpit never opened during the entire flight. Accident investigators monitor the cockpit door with the FDR because it may yield clues to pilot error in a crash. The FDR begins recording once the pilots are in their seats and readying for takeoff, and the plane cannot take off unless the FDR is working. The official story about flight 77 is that five Muslim terrorists brandishing box cutters forced their way into the cockpit and herded two pilots, four flight attendants and all the passengers to the back of the plane. This story came into being via Ted Olson, US Solicitor General, who told CNN — that he received two phone calls from his wife Barbara Olson, a passenger on the doomed flight. Ted Olson’s story changed several times. Sometimes he claimed that the calls from his wife were made from seat back phones, other times that she used her cell phone. Barbara Olson couldn’t have used a cell phone either: numerous 9/11 researchers, most notably David Ray Griffin, have pointed out that cell phones did not work on airplanes on 9/11. The speed and altitude of a commercial airliner both present overwhelming obstacles to a cell phone’s need to lock onto a cell tower and then hand off to another tower in a new location. It was the FBI that revealed the evidence that decisively disproves Ted Olson’s story. In the Zacarias Moussaoui trial in 2006, the FBI presented a report on the cell phone calls from all four 9/11 flights. Their report on AA77 shows that there was only one phone call from Barbara Olson, but that it was an unconnected call lasting zero seconds. So Ted Olson either lied about receiving calls from his wife or was deceived into believing he received calls from her. According to the UK Telegraph, Barbara Olson delayed her flight on 9/11 so that she could have breakfast with her husband on his birthday. That delay put her on the doomed flight. Ted Olson remarried in 2006 to tax attorney Lady Booth, whom he reportedly met the year after Barbara died. There are numerous oddities and contradictions about AA77’s black boxes. The government claims that the voice data recorder was damaged during the crash and that no usable data was retrieved from it. If true, this would be the first time in aviation history that a solid-state data recorder was destroyed during a crash. While it was widely reported in the media that the FDR for AA77 was found at 4 am on September 14, 2001, the file containing the FDR data was dated over four hours earlier. In other words, we are asked to believe that the data from the FDR was downloaded prior to the FDR being found. Researcher Aidan Monagahan has established that the NTSB does not have either serial or part numbers for the FDRs from AA77. The NTSB’s own handbook indicates that the part number and serial number of the FDR are required for data readout of the FDR. The NTSB did not have this information, giving us another reason to question how the FDR data was created. In earlier work, Pilots for 9/11 Truth (P4T) has determined that the same data set provided by the NTSB shows the plane too high to hit the Pentagon, based on an altimeter that uses air pressure to calibrate altitude. As reported in the April 2009 Rock Creek Free Press, Citizen Investigation Team, citizen journalists from southern California, has collected evidence from 14 eyewitnesses that shows that the plane seen that morning near the Pentagon did not hit the building, but flew over it at the moment explosives detonated in the Pentagon, leading observers to conclude that the plane had crashed into the Pentagon. Questions about what happened at the Pentagon have intrigued 9/11 researchers for years, beginning with photos from the alleged crash scene which do not show the wreckage of a plane. This new evidence, showing that the cockpit door never opened during flight, is another nail in the coffin of the official story about flight 77. Clearly, if the cockpit door never opened, then hijackers did not storm the cockpit and herd the pilots to the back of the plane. The data, which originated from the government, does not support the government’s story. Why would the government release data which contradicts its own version of events? 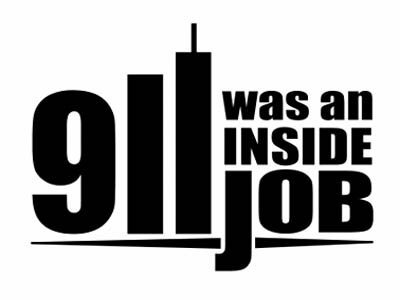 It is possible they were just sloppy, or that they never anticipated that anyone would parse the data as carefully as Pilots for 9/11 Truth have. They may have also felt secure, that regardless of what damning revelations were contained in the FDR data, no mainstream media outlet would give them ink or air time, keeping the official story intact for the vast majority of Americans who receive their news from mainstream sources. Rob Balsamo, founder of Pilots for 9/11 Truth, stated: “We have not located any independently verified data which confirms the government’s story. The FBI and NTSB refuse to comment.” Founded in August 2006, Pilots For 9/11 Truth is an organization of aviation professionals from around the globe who are investigating the government’s claims about the attacks of 9/11. Sheila Casey is a DC based journalist. Her work has appeared in The Denver Post, Reuters, Chicago Sun-Times, Dissident Voice and Common Dreams. READ The Head Of The FBI, (Dead), says "illuminati controls everything"